Large waterproof gear bag, zipper closure. Ideal for clothing, saddlepads, or anything you want kept dry. Folds flat when not in use for easy storage. 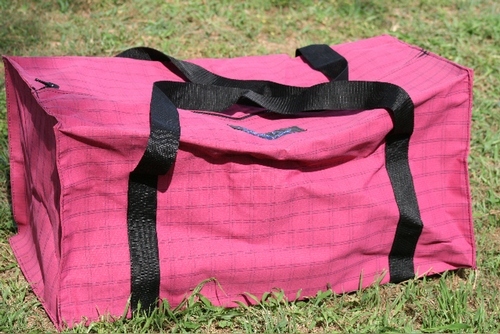 All canvas bags are made from durable, Australian made 16Oz canvas fabric . Complete protection from water and dirt for all clothing and camping equipment. Moulded zipping, wont get fouled up by dirt and dust. Optional pocket on one end. If the colour or style you desire isn't shown, others are available please contact us for custom orders.